Cornerstone Specialty Hospitals Clear Lake, located in Houston is a specialty acute care hospital accredited by the Center for Improvement in Healthcare Quality (CIHQ). This hospital is designed as a bridge in the continuum of care and is intended to provide intensive, specialized care for medically complex patients that require a longer treatment and recovery period. This hospital provides a committed and knowledgeable clinical team in a setting conducive to healing. Their goal is to treat the immediate and long-term needs of the patients with the goal of helping each patient reach the next level of wellbeing on their path to a full recovery. Explore our Clear Lake location with a 3D tour and an in depth look at the facility. At Cornerstone Healthcare we welcome and appreciate the opportunity to have you tour our facility. You are welcome to simply stop by at your convenience or if you would like to meet members of the team, please call or contact us to schedule your personal tour. We will make time for you. We want to spend time with you and answer your questions and allow you to explore how our Programs can work for you. Please call or contact us today, we look forward to hearing from you. The Cornerstone Healthcare referral process is designed to make it easy for referral sources, patients and families to easily access high quality care. Simply call or contact us and we will assign one of our liaisons to personally meet with you to discuss your needs. We are here to assist you and provide an exceptional experience for you. Please call or contact us today to see how we can help you. We look forward to hearing from you. The Cornerstone Healthcare admissions process is designed to make it easy for referral sources, patients and families to easily access high quality care. Simply call or contact us and we will assign one of our liaisons to personally assist you through the process. We are dedicated to helping people one person at a time to have an exceptional experience with our admissions experts. Your liaison will communicate with you throughout the process and will be available to meet with you in person, by phone or email. Reach out today and let us know how we can help you. We look forward to hearing from you. Our clinical team is composed of interdisciplinary healthcare professionals who are dedicated to improving quality of life for our patients. The attending physician is the head of the clinical team and is responsible for designing the course of treatment for each patient. Patients will be visited by their attending physicians on a daily basis, with additional consulting physicians visiting on an as- needed basis. In addition to our staff of registered nurses and critical care nurses, our team also includes licensed vocational nurses/licensed practical nurses and nursing patient care technicians. A registered nurse is available 24 hours a day to address questions or concerns. Case managers are responsible for managing a patient’s case from admission through discharge or transfer. If a patient has commercial or private insurance, their case manager will work with the patient’s insurance provider. A patient’s length of hospitalization at Cornerstone Specialty Hospitals is estimated based on the diagnosis, individualized care plan and recovery protocol. Physical and occupational therapists work with patients who have physical impairments, limitations, disabilities or changes in physical health resulting from injury, disease or other causes. Speech-language pathologists work with individuals whose oral motor, swallowing, cognitive-linguistic, speech, or language skills have been affected. Respiratory therapists provide treatment, evaluation, monitoring and management of patients with breathing disorders. They also provide management of patients requiring mechanical ventilator support including weaning patients from ventilators. A respiratory therapist is available 24 hours a day to provide care. Dietitians will assess for specific dietary needs, meal preferences and allergies. As the patient progresses in their recovery, our dietitian will also work with the physician and speech-language pathologist to advance the patient’s diet safely. Pharmacy services are provided by a licensed pharmacist. The hospital staff is responsible for administering each patient’s medications. Other professionals are available to join the clinical team as indicated by the patient’s health needs and goals. Cornerstone Healthcare Group is committed to helping our patients and their families make an informed choice when it comes to important healthcare decisions. When you or a loved one is experiencing a critical illness or injury, we understand how important it is to find a healthcare provider you trust, who puts the patient first and shows that they care about you. We have compiled a list of answers to the questions we receive most often. We are here to help. Don’t hesitate to contact your local Cornerstone Specialty Hospital to schedule a tour so we can address your questions in person. We look forward to meeting you! Q: Is a Cornerstone Specialty Hospital right for me? A: Cornerstone Specialty Hospitals provide care for those who are ready to be discharged from a general acute care hospital, but require an additional extended period of intensive medical care before they are ready to return home. Treatment and care is designed to bridge the gap between the acute care hospital and home. Q: Are Cornerstone Specialty Hospitals and nursing homes the same? A: No. Cornerstone Specialty Hospitals are licensed and certified as acute care hospitals designed for patients suffering from critical illness, injury or chronic conditions that require an extended period of intensive medical care. 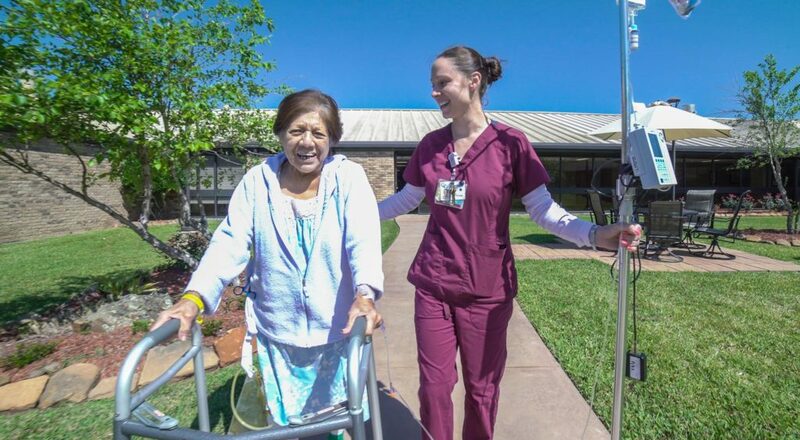 Nursing homes are not licensed hospitals and are therefore not equipped to provide the intensive medical care, comprehensive care team and daily physician visits available at Cornerstone. Q: How are Cornerstone Specialty Hospitals different from general acute care hospitals? A: General acute care hospitals focus on caring for patients with acute conditions that can be resolved over a short period of time. By contrast, Cornerstone Specialty Hospitals are designed for patients suffering from critical illness, injury or chronic conditions that require an extended period of acute intensive medical care. Q: Why do patients and families choose Cornerstone Specialty Hospitals? A: Patients and their loved ones come to Cornerstone Specialty Hospitals for our commitment to patient experience and clinical outcomes. Our interdisciplinary teams strive to provide superior patient care and to make a meaningful difference in the lives of our patients. Q: How can I get treatment at Cornerstone Specialty Hospitals? A: Cornerstone Specialty Hospitals admit patients seven days a week as referred by physicians or case managers at an acute care hospital or other healthcare facility (such as a rehabilitation facility, nursing home, etc.). All referrals are evaluated by clinically trained healthcare professionals prior to admission. Q: Is my care covered by my health benefit plan or by Medicare? A: In cases where a Cornerstone Specialty Hospital services are deemed medically appropriate by your physician, we can assist you and your doctor in appealing to your insurance provider. However, the final decision as far as health plan medical necessity typically rests with your plan provider. Q: Can Cornerstone Specialty Hospitals care for the needs of the medically complex and highly acute patient? A: Cornerstone Specialty Hospitals are staffed with Advanced Cardiac Life Support (ACLS) caregivers who are trained to treat the most medically complex patients. Our interdisciplinary clinical teams are directed by physicians and include specialized healthcare professionals involved in all aspects of a patient’s care. Q: What types of patients can benefit from a Cornerstone Specialty Hospital? Q: Do Cornerstone Specialty Hospitals offer critical and intensive care? A: Yes. Cornerstone Specialty Hospitals are equipped with Intensive Care Units (“ICUs”) or High Intensive Units (“HIUs) where intensive, round‐the‐clock treatment is provided to the most medically complex patients. Q: Who will be caring for me or my loved one? A: Patients have access to members of their interdisciplinary treatment team each day, including their attending physicians. Patients also have 24-hour access to staff nurses, respiratory therapists and other healthcare professionals. Each patient is assigned a case manager to help guide the patient and family through the hospitalization and discharge. Q: Who decides the patient’s length of stay? A: Case managers discuss a patient’s treatment and goals with the physician, patient, family, and when applicable, the managed care plan to determine where and when discharge is to occur. Q: Is nutrition part of your treatment? A: Yes. If necessary. Patients may be assigned a registered dietitian who develops a nutritional plan tailored to the patient’s medical needs and personal preferences. Q: How often will a patient receive therapy? A: Each patient has an individual plan of care. If a patient requires therapy, participation is based on the patient’s ability level and need. Cornerstone Specialty Hospitals practices early and aggressive physical intervention and therapy. The Cornerstone Medically Complex Program is designed to treat patients with multiple medical diagnoses who require intensive care nursing and therapies that may include PT, OT, SPL, nutrition, medication management, wound care, dialysis and special procedures. Cornerstone's Interdisciplinary Care Team works collaboratively to set realistic goals and deliver optimal medical functional outcomes in a high quality, safe and caring environment. This program may include a concurrent Medical Physical Rehabilitation Program. The Cornerstone Pulmonary/Ventilator Program includes individualized treatment plans for patients with a wide variety of cardiopulmonary/medical needs ranging from supplemental oxygen therapies to complex ventilator management and weaning protocols. Cornerstone offers both invasive and non-invasive mechanical ventilation support management and weaning utilizing invasive and noninvasive techniques. Our Pulmonary Program is managed by physicians who specialize in pulmonology and critical care. Our Interdisciplinary Care Team works collaboratively to set viable goals and achieving medical functional outcomes in a high quality, safe and caring environment. The treatment plan may include a concurrent Medical Physical Rehabilitation Program. The Cornerstone Medical Physical Rehabilitation Program enhances all of our Programs by providing physician directed, individualized treatment plans for patients who require a wide range of medical rehabilitation needs from basic mobility, self-care, swallowing and strength endurance to preparation for their return to an independent living situation. Our goal is to assist the patient in their ability to obtain maximum mobility, strength and endurance and to maximize their potential to safely care for themselves in the most independent setting possible. The Cornerstone Infectious Disease Program offers individualized treatment programs for patients who have been ill for some time and may have an infectious disease requiring a constant dose of fluids and medications to effectively reduce or eliminate the infection. Our interdisciplinary team is trained and specializes in infectious disease and antibiotic stewardship programs. Cornerstone's Interdisciplinary Care Team works collaboratively to set realistic goals and deliver optimal medical functional outcomes in a high quality, safe and caring environment. The Cornerstone Neurology Program focuses on patients who may have had a stroke, brain injury, aneurysm, are now post-trauma or have other types of neurology related medical issues. Our interdisciplinary team and physicians focus on the pathway to get the patients back home by stabilizing and providing the specialized care plan for the patient and the involvement, support and training the families need. Cornerstone's Interdisciplinary Care Team works collaboratively to set realistic goals and deliver optimal medical functional outcomes in a high quality, safe and caring environment. Patients who have neurology related medical issues may also have a concurrent customized Medical Physical Rehabilitation Plan to support their recovery. The Cornerstone Post ICU Syndrome Program focuses on those patients who have been in the ICU setting and have developed additional related health issues while recovering in the ICU. Our interdisciplinary team and physicians are skilled in developing customized plans of care for patients who may have developed muscle weakness, sepsis, and difficulty with daily living skills, mobility, cognitive dysfunction or other related issues. Cornerstone's Interdisciplinary Care Team works collaboratively to set realistic goals and deliver optimal medical functional outcomes in a high quality, safe and caring environment. Many of these issues also impact the family of the patient and our programs are designed to support and involve them in their loved ones recovery process and may include a concurrent Physical Medical Rehabilitation Program. The Cornerstone Wound Care Program offers an interdisciplinary team and physicians dedicated to developing highly customized treatment plans for patients who have developed wounds and related healthcare issues. Treating wounds is a specialized process requiring a plan that is sensitive to the individual patient and where they are in their healing journey to provide the best recovery plan for each person. Cornerstone's Interdisciplinary Care Team works collaboratively to set realistic goals and deliver optimal medical functional outcomes in a high quality, safe and caring environment. The Cornerstone Care Programs include many medical issues that require an acute setting for extended care while patient recovers. Care Programs are centered around those patients who are acutely ill and may have cardiac, renal, bariatric, vascular disease, or dialysis issues and who would benefit from having a customized treatment plan focused on their recovery including family involvement and support. Cornerstone's Interdisciplinary Care Team works collaboratively to set realistic goals and deliver optimal medical functional outcomes in a high quality, safe and caring environment. The recovery process may include a concurrent Physical Medical Rehabilitation Program. Cornerstone Hospital of Houston Clear Lake is proud to be accredited through Centers for Improvement in Healthcare Quality (CIHQ) since 2014. Should you have any concerns about the quality of care or safety issues at this facility, please click on the link below for contact information. Have questions or comments about our programs or hospital? Let us know here, or visit our Contact Page to learn more. Are you passionate about your profession? Do you strive to make a difference every day, regardless of your job title? Is a strong company culture at the top of your list when choosing a new employer?